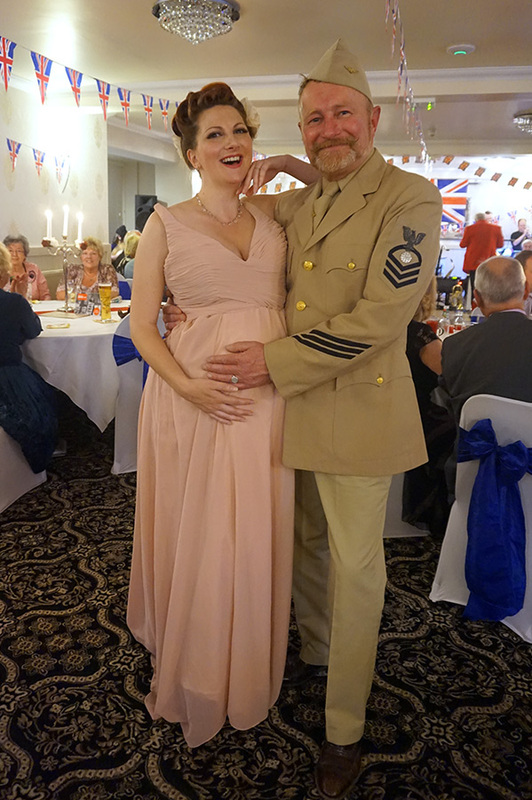 I was lucky enough to attend 3 events this year commemorating the 70th anniversary of VE Day…and huzzah! They were all local! 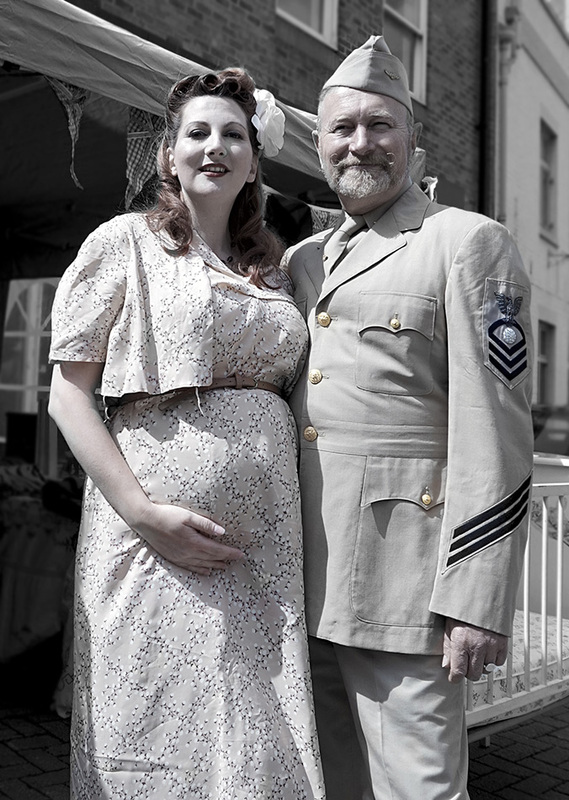 With baby on her way in just 8 weeks, these were my last until I am recovered enough after her birth, making them poignant for other reasons as well as marking the allied victory in 1945. Evesham VE Festival was first on the May Bank Holiday. 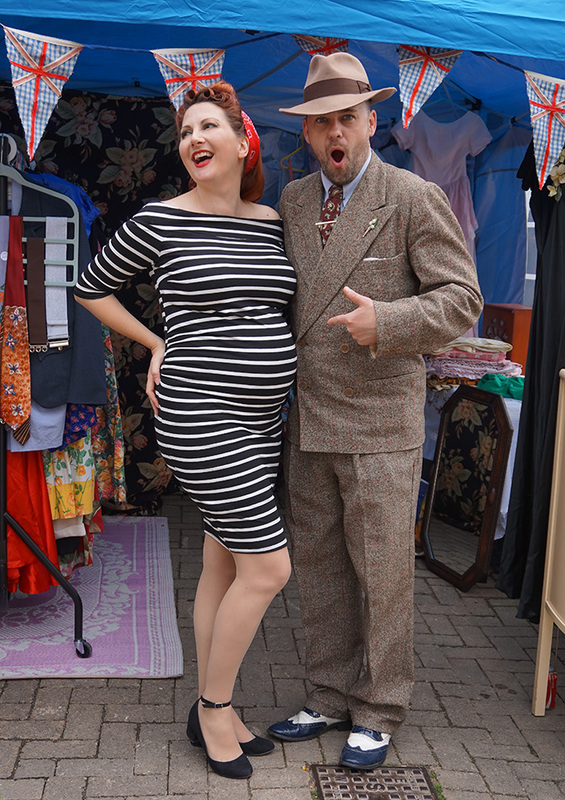 It has always been a firm favourite local event of mine and as well as vintage stalls and great food stands, it also features free live entertainment through out the day. The fact that you get to see the Del Ray Rockets and other singers free of charge is well worth the day out and for some miraculous reason, the weather is always good no matter what it was doing 20 minutes prior to the festival opening! It is a shame there were no stall in the square’s main building this year as I usually love a good mooch inside there, but hopefully they will bring them back! I had a super time singing on stage and doing our little stall, not to mention having the privilege of being the face of the event this year! If you have never been and are local to the Warwickshire/ Evesham, area, why not take a trip to this fantastic event next year. If not for my warblings, at least for the crepe stall!!! Mr and Mrs Mew! Wearing an original 1940’s sun dress with a mock bolero style front. Luckily it fits over the bump! 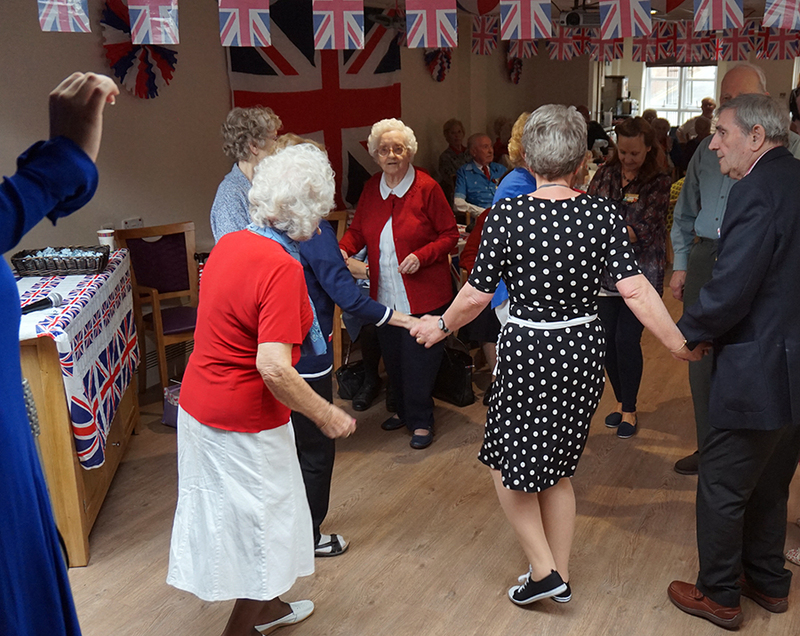 Next up was Yates Court Care Home, putting on a wonderful VE Day party for the residents and guests! Union Jack bunting and table wear was the order of the day and everyone came dolled up in their best. 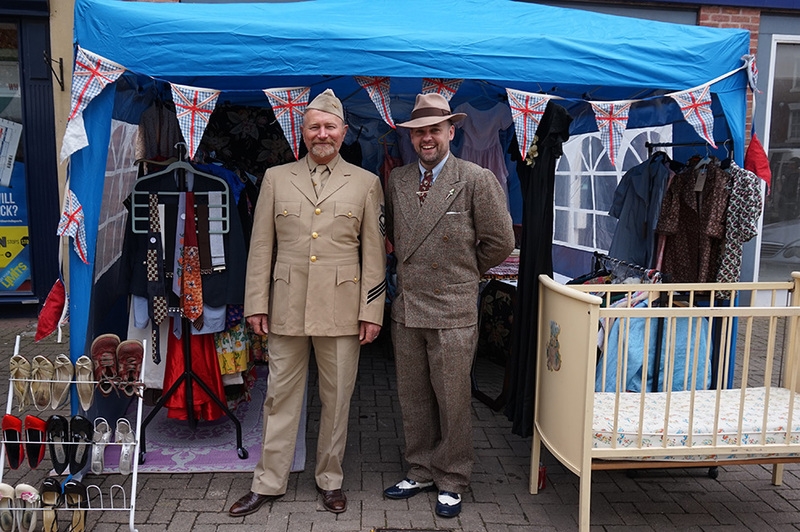 We even spotted some medals (on a Hawaiian shirt) and a paratrooper beret being proudly worn for the occasion. The little stage was festooned with camo net and flags and I had so much fun entertaining the crowd! 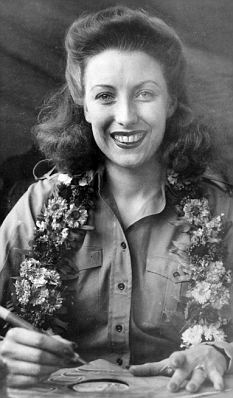 They all joined in to Vera Lynn, Siegfried Line and Run Rabbit Run and some suddenly got a huge burst of energy during the Gracie Fields numbers and came up for a jig around! Having a little jig to Sing As We Go! Yates Court Care Home VE Celebrations 2015. Having a little rest before my set! 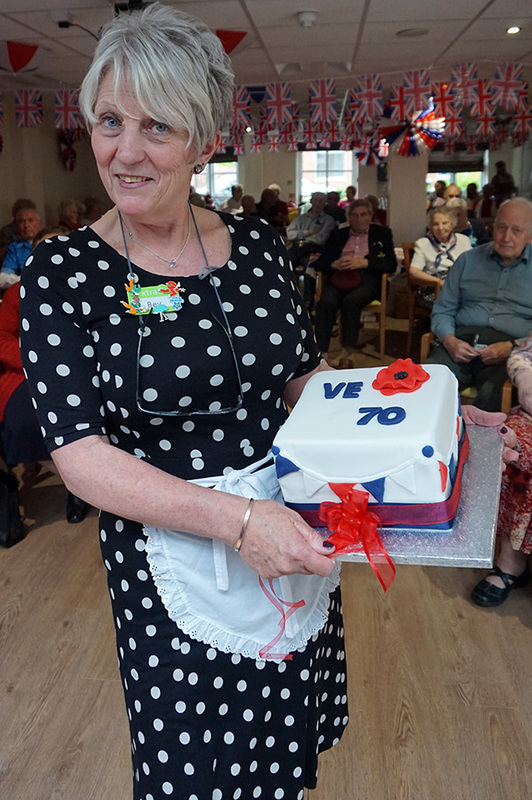 A wonderful VE Day Cake made by the staff! Finally my last singing set before Baby Mew arrives! This was last night at The Oak in Hockley Heath. 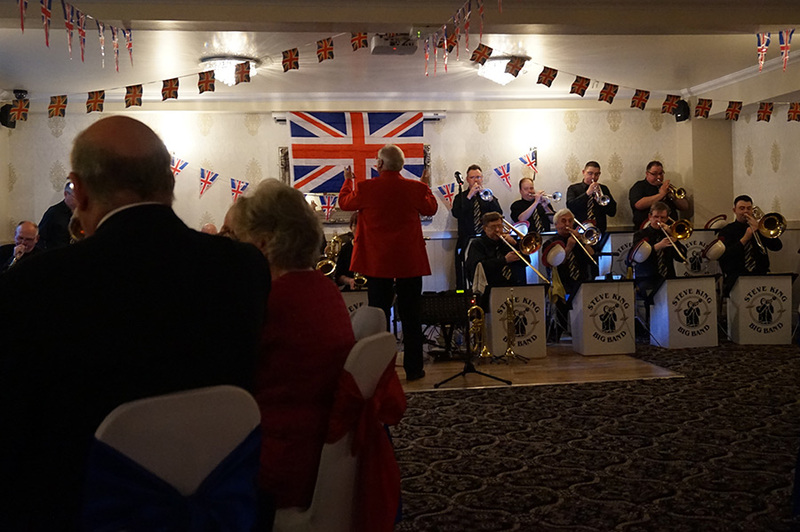 A wonderful VE Day Dinner Dance with the Steve King Big Band. This wonderful 18 piece was one of the best we had seen in a long time and played some wonderful classics. The singer (sorry, no photo!) was exceptional! My little set was slotted into the band’s break and I had a wonderful time entertaining the guests. There was such a lovely atmosphere and it was the perfect way to wind down my performances! So a huge thank you to everyone who has made the first half of this year so amazing with their events and booking an every-increasingly more pregnant singer! The next half will be just as exciting! 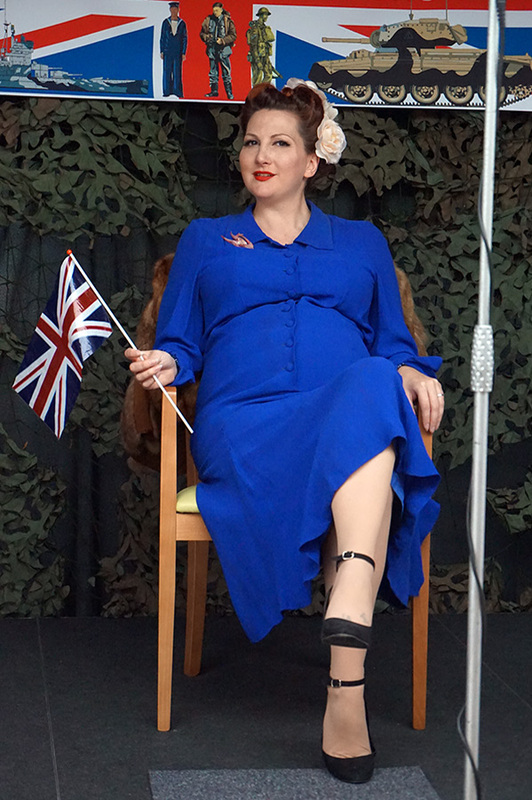 Posted in Events and Performances and tagged 1940's maternity, 1940's pregnant, 1940's singer, del ray rockets, evesham ve festival, kitten von mew, pregnant singer, steve king band, the oak hockley heath, ve celebrations 2015, ve day 2015, ww2 maternity, ww2 pregnant, ww2 singer, yates court care home. Bookmark the permalink.